Location location location: nothing really new, is it? 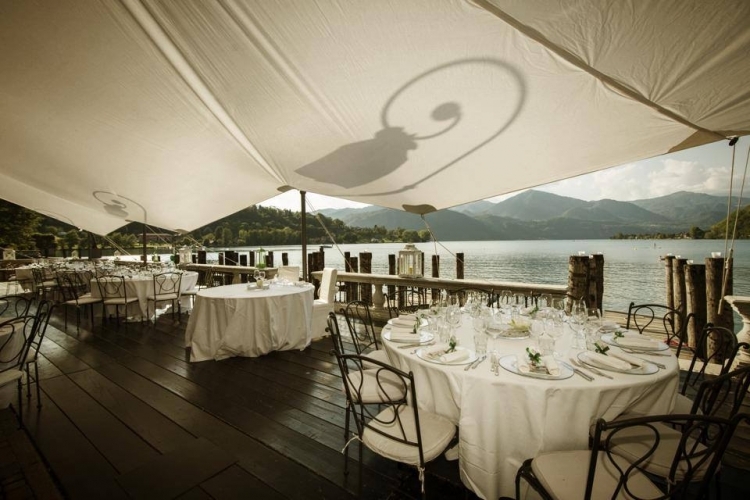 Today we start our section, fully dedicated to this essential part of the wedding plan, focusing on the lake option; the lake setting is the epitome of romanticism, of a certain retro feel and, unarguably, of elegance and glamour. 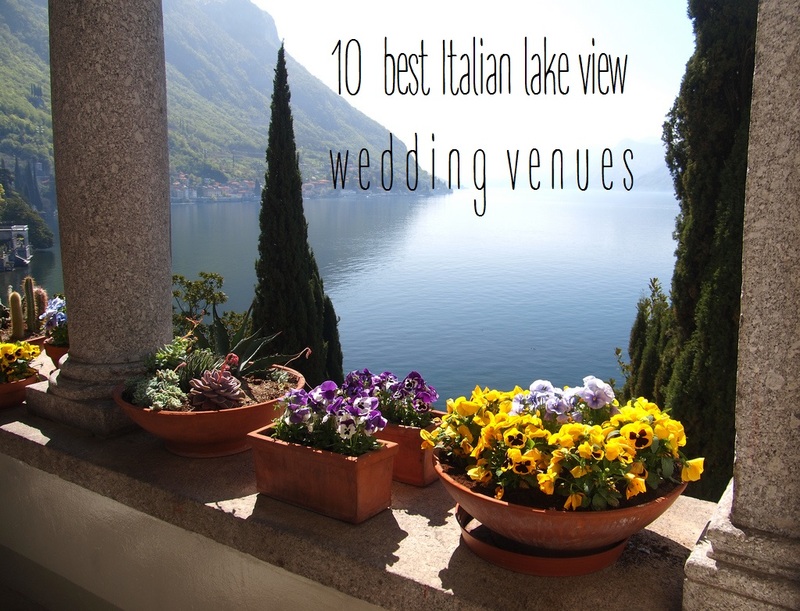 Here below my selection of the 10 best Italian lake view wedding venues, prepare to swoon! 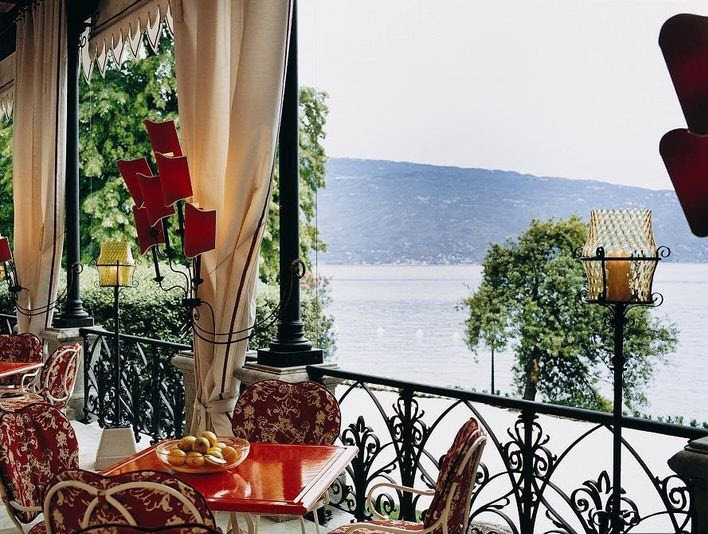 Well, what’s left to say about lake Como? 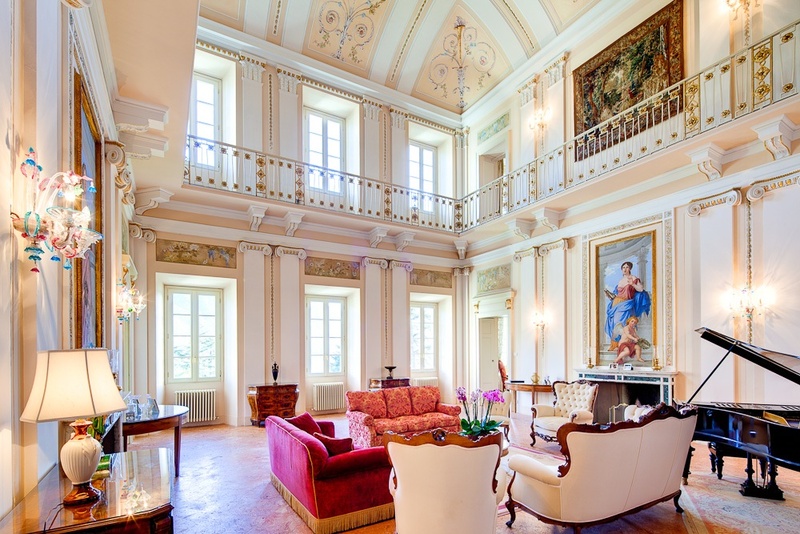 Jaw dropping view views, prize worthy botanical gardens, magnificent estates, unbeatable location, near both the Malpensa airport and the world fashion capital, Milan. Among the conspicuous number of high level venues available on its shores, I chose the 3 that truly speak to my heart. 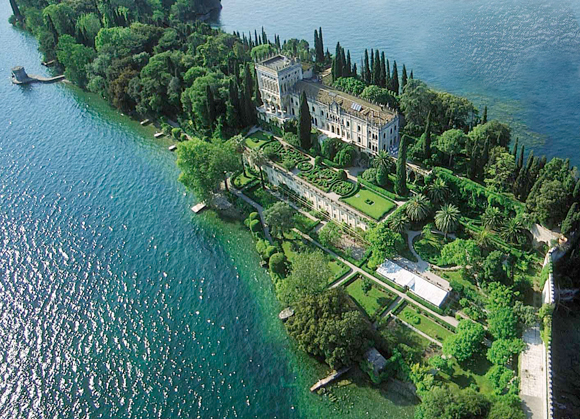 This villa, more than just a Lake Como venue, is a national monument for Italy. It was constructed in the 1700’s by a local noble family. Over the centuries, it has played host to numerous musicians, artists, writers and statesmen including Napoleon Buonaparte, Vincenzo Bellini and Winston Churchill; today brides, grooms and their guests enjoy its stunning position and views, the richly elaborated interiors including 8 luxurious suites, the frescoed halls, manicured gardens and the large panoramic pool which make an exclusive backdrop for every moment of the wedding event. 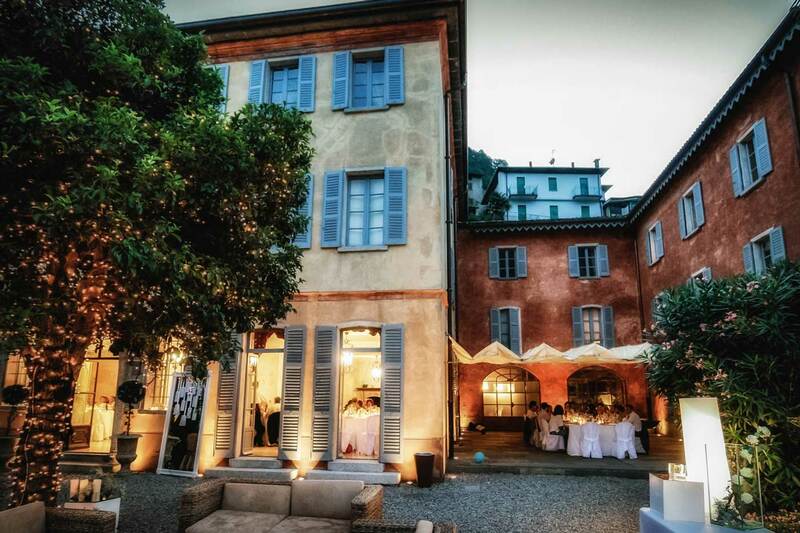 This mesmerizing luxury b&b is ideally placed in one of the most iconic villages close to Como; it offers unique views over the lake with direct access to it, 6 tastefully decorated suites, lovely gardens and a pool. 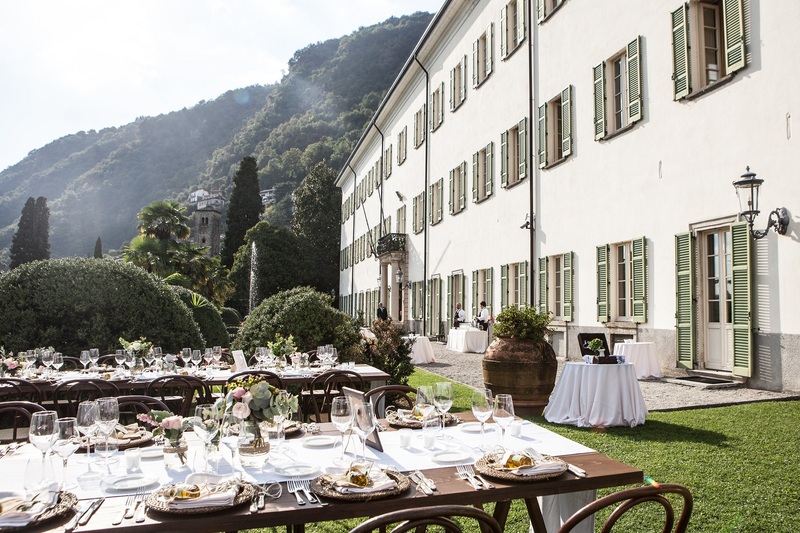 This fabulous venue does convey understated elegance and utter sohistication to every event that it hosts; no doubt, it is my personal favourite lake Como address for intimate receptions. 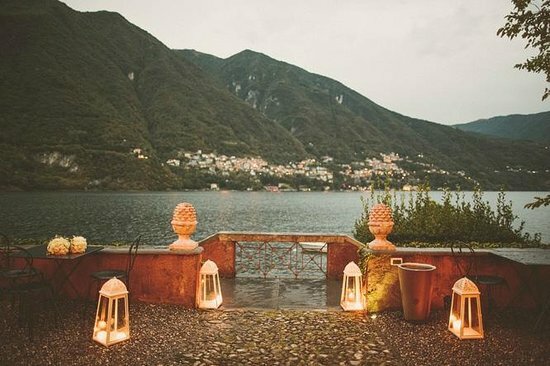 This world famous villa no doubt is the most spectacular venue you can possibly find on lake Como – or elsewhere; built back in the XII century on a breathtaking promontory, it features manicured gardens, a one-of-a-kind loggia as well as several other areas where to set the different moments of both ceremony and reception. What makes lake Maggiore special, beside its privileged position among the high alpine peaks and soft, lush hills, is the exquisite, understated yet high class retro flair that all of the villages and small towns along its coasts exude; this area in facts is the cradle of the Italian art deco, meaning that you will be spoiled by choice of authentic, magnificent venues still retaining all the original period features. 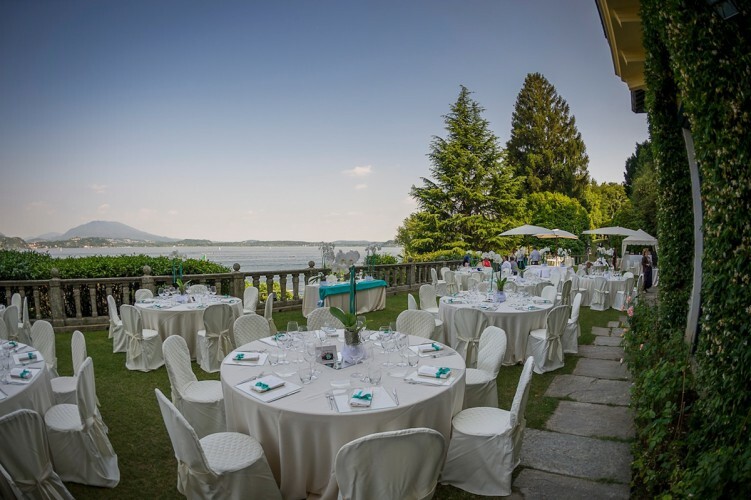 This prestigious villa, nestled in a lush park right on the shore of the lake, offers beautiful indoor and outdoor spaces; both the celebration and the reception can be held either in the beautiful reception rooms, each with stunning views, or in the park, by the large pool. A large selection of first rate accommodation solutions and, last but not least, the private dock that provide the glamorous arrival that brides and grooms dream of, flawlessly complete this comfortable venue. If what you look for is a no-brainer, over the top venue, then there you are! 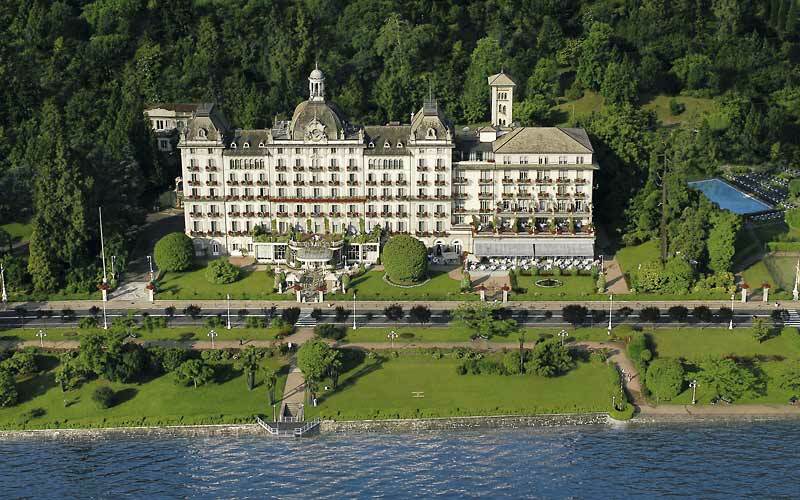 This majestic property in Art Nouveau style marks the history of Lake Maggiore; loved by unforgettable personalities such as Ernest Hemingway, it still combines sumptuous elegance and tradition with the charm of the Italian luxury Grand Hotels. 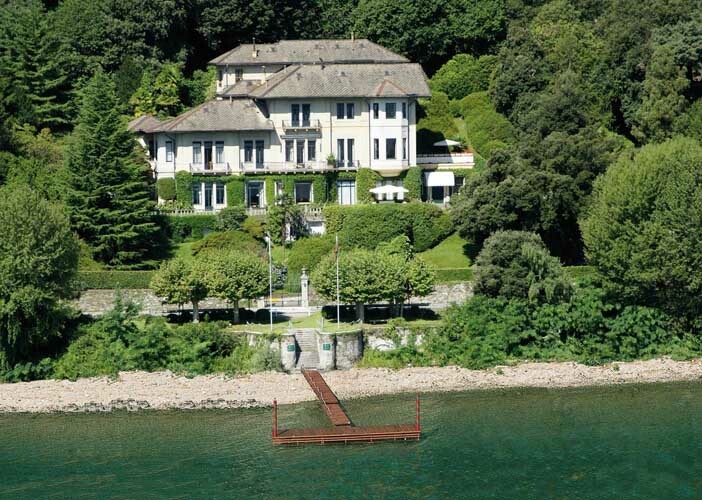 It includes indoor and outdoor swimming pools, a spa, and lovely gardens facing the Borromean islands. 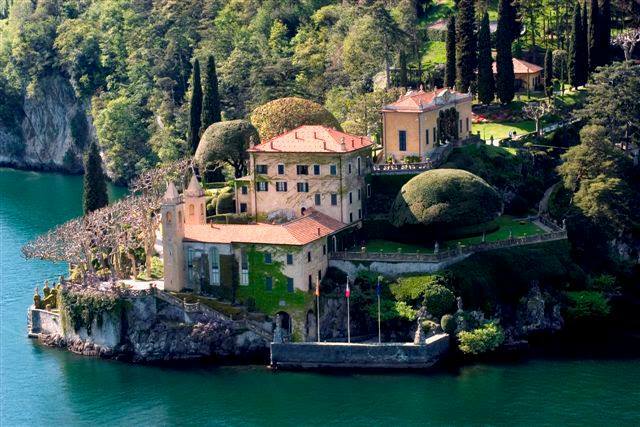 This narrow, incredibly romantic stretch of water, surrounded by some of the most imposing mountains such as the world famous Monte Rosa, has as its highlight Orta San Giulio, a magnificently preserved pedestrian medieval village placed on a panoramic promontory facing San Giulio island; its winding alleys, fabulous views and picturesque outdoor cafés and taverns, they all make a utterly charming setting for an effortless wedding event. 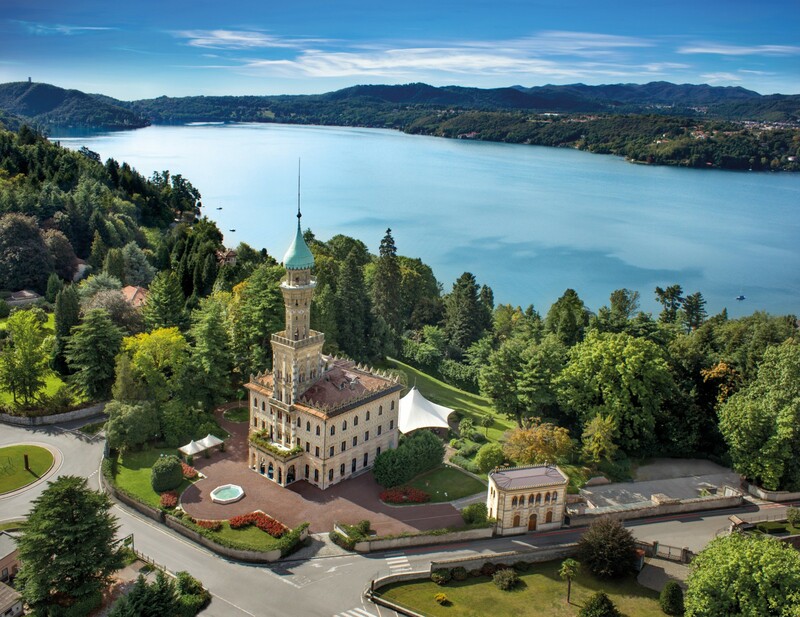 The origins of this rather quaint, snug hotel go back to 1879 and it was the dream-come-true of a wealthy cotton merchant, who wanted to bring the charm of Baghdad back to his beloved Lake Orta. The architect’s whimsical talents perfectly interpreted his client’s wishes, giving the villa a Middle Eastern setting that was quite unique, with superb stuccoes and arabesque carvings. The result is a masterpiece in the Moorish-Eclectic style which today offers first level hospitality thanks to the impeccably furnished 14 rooms, the luxurious spa, the lovely grounds surrounding the villa and the 2 Michelin stars gourmet restaurant run by one of the most awarded Italian chef. 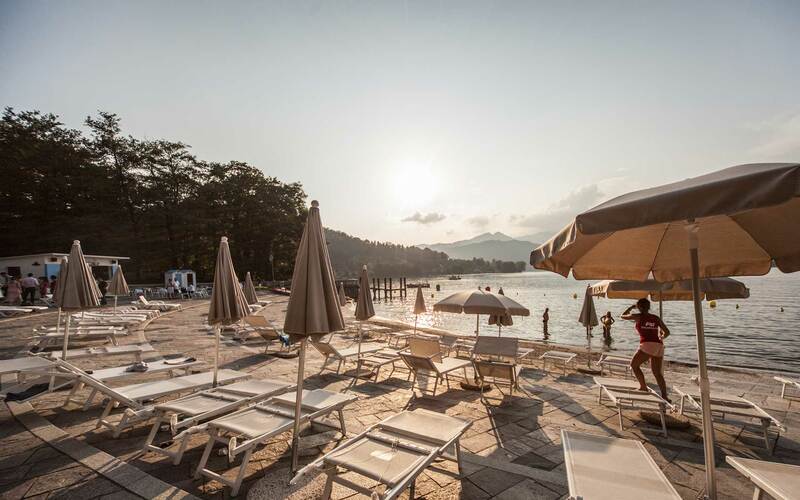 Only a short stroll away from Orta San Giulio centre, lies this extremely charming beach club; its simple, clean elegance, made of wooden surfaces, wrought iron furniture and natural textiles, acts as the ideal counterpart to the magnificent west facing scenery over the lake and the surrounding mountains. 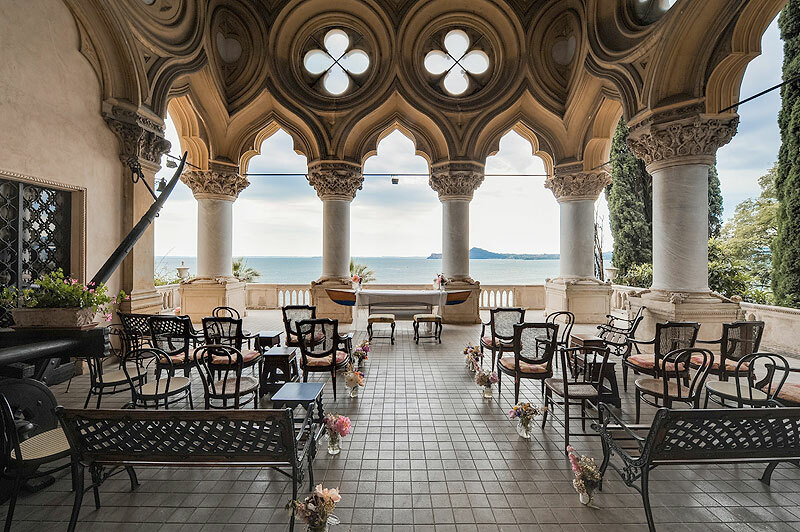 It is indeed hard to imagine a more enchanted setting for a sunset ceremony and a candle lit, utterly romantic reception and dance the night away party! Lake Garda is the largest of the Italian lakes, straddling the border between three regions: the Lombard plains to the west, Alpine Trentino Alto-Adige to the north and the rolling hills of the Veneto to the east. Look around and you’ll be surprised to see a Mediterranean landscape of vineyards, olive groves and citrus orchards that is thanks to the lake’s uniquely mild microclimate. Romantic villages all curled up around picturesque marina, bespoke thermal spa, charming medieval castles perched over the water: the lake boasts a wide selection of great locations and venues that will be the perfect fit for your event. 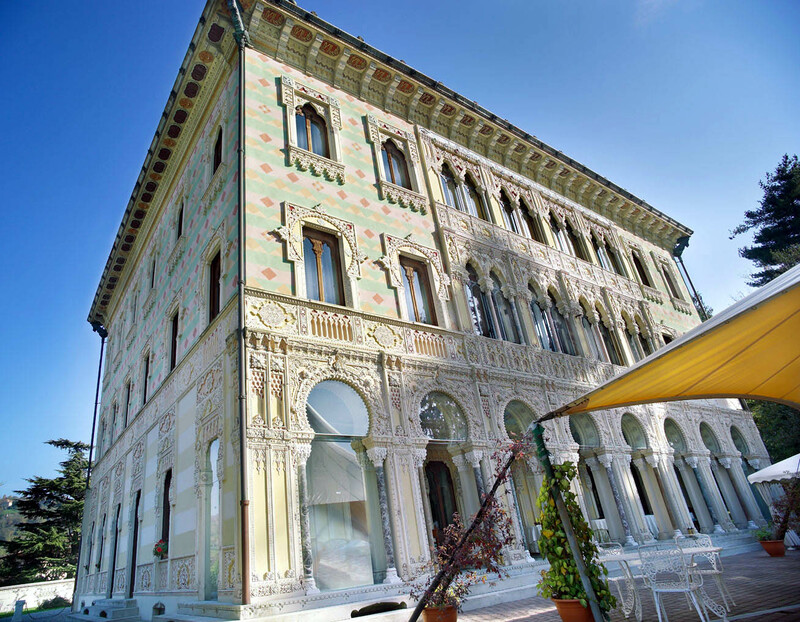 The villa was commissioned in 1892 as a retreat providing an escape from the heat of the summer in town. The decor of this holiday retreat includes fine wood paneling, wood inlay ceilings, stained glass windows and delicate frescoes. Fully restored in 1997, it has been transformed into a deluxe hotel, faithfully conserving the refined elegance of the interiors; the estate’s 21 rooms, divided between the villa itself and the dependences scattered among the lush park, combine the features of bygone eras with modern-day facilities and services, while the 2 Michelin stars restaurant delightfully enhances the whole experience. 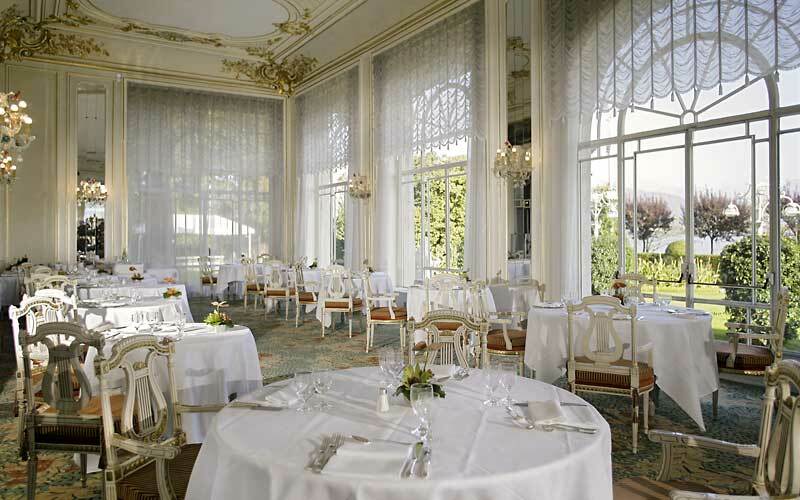 This is no doubt an outstanding venue for an utterly refined wedding celebration. What about saying “I do” on a lush, spectacular private island? 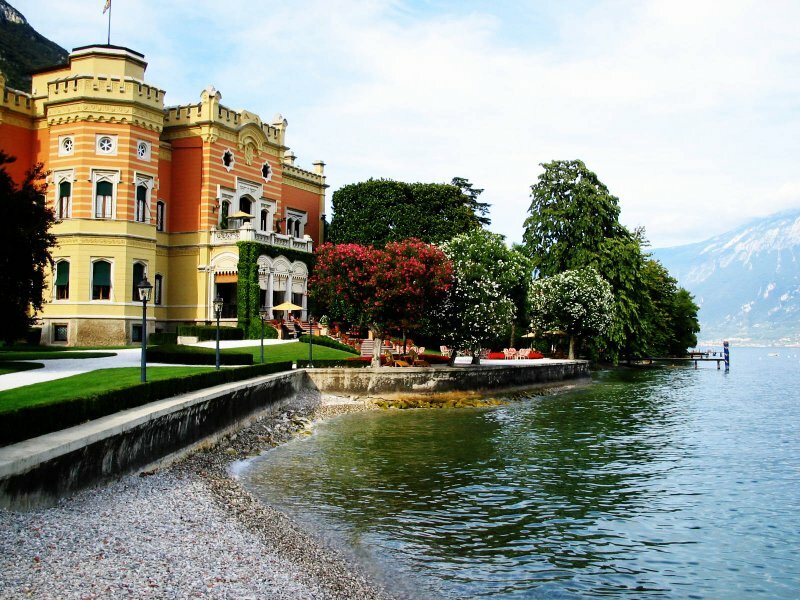 Located near the western shore, close to the picturesque town of Salò, it has been inhabited since the roman times; today it owes its fascination to the extraordinary Venetian neo-Gothic style villa, built at the beginning of the 20th century, an imposing harmonious building rich in surprising architectonic details. 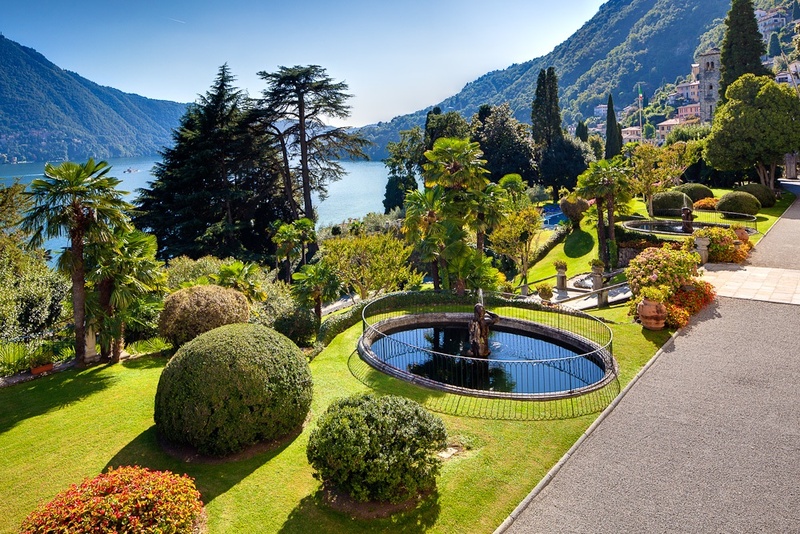 Below, the terraces and Italian gardens slope down to the lake. All around the vegetation is luxuriant and intact, boasting exotic plants, rare essences and unique flowers. It doesn’t get more exclusive and whimsical, does it? 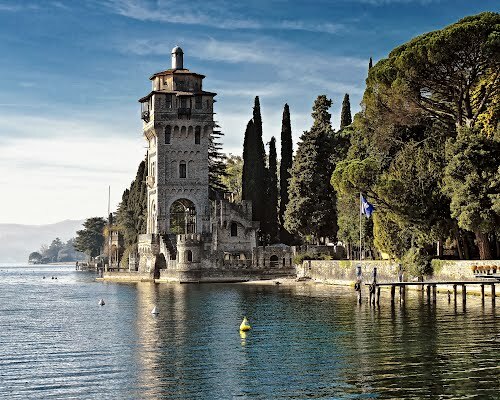 This XIX century tower, fabulously placed between the crystal blue water and the mountains, is surrounded by walls and 4 further smaller watchtowers. Its picture perfect garden and private beach are enriched by palm trees, cypresses, olive trees and pines, the adjoining luxurious Relais and Chateaux hotel provides the most exclusive accommodation for the bride, groom and their closest loved ones, while the 1 Michelin starred restaurant will cater the most refined wedding meal you’ve ever tasted.